A veteran republican charged in connection with the IRA murder of a mother of 10 is to undergo medical examination to determine whether he is fit to plead. Ivor Bell, 79, faces two counts of soliciting Jean McConville's killing in 1972. The defendant was due to plead at a scheduled arraignment hearing in Belfast Crown Court ahead of his trial. But the hearing was adjourned after Bell's barrister told the judge a medical exam was to be commissioned. Granting the four week adjournment, judge Seamus Treacy said: "This relates to unfitness to plead issues." 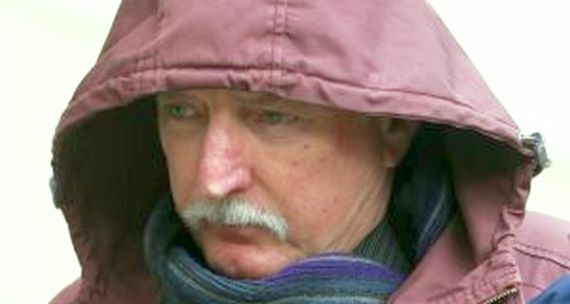 White-haired, moustachioed Bell, from Ramoan Gardens in west Belfast, sat in the dock during the brief legal exchanges. His lawyers have made clear the pensioner denies the offences at previous hearings. A number of Mrs McConville's children watched on from the public gallery. The 37-year-old mother was dragged from her home in Belfast's Divis flats complex by an IRA gang of up to 12 men and women. She was accused of passing information to the British Army - an allegation later discredited by the Northern Ireland Police Ombudsman. Mrs McConville was shot in the back of the head and secretly buried 50 miles from her home, becoming one of the "Disappeared" victims of the Troubles. It is alleged that one of the interviews was given by Bell - a claim the defendant denies. Sources close to the investigation said it was "far from over" and that detectives want more information on anyone suspected of involvement in the murder, including Mr Adams. 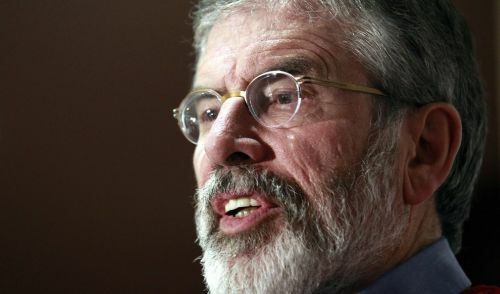 The Sinn Fein president strongly denies any involvement in the Belfast mother of 10's abduction and death in 1972. The PSNI is also seeking to question former IRA man turned writer Anthony McIntyre about his Boston College interviews with ex-Provisionals on Ms McConville's murder. As the interviewer for the US university's oral history project, Mr McIntyre's evidence would be crucial in the case against Bell – and any other alleged former IRA leaders who may in future be charged with involvement. Belfast Magistrates Court heard on Saturday that Bell was an interviewee in one of the tapes and was known as 'Man Z' – something which Bell denies. 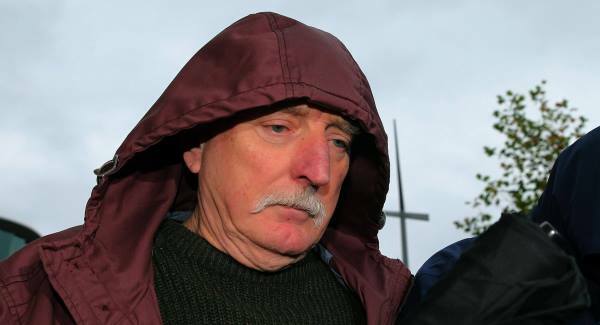 The 77-year-old is charged with IRA membership and aiding and abetting in the murder of Jean McConville. Other alleged former IRA members are expected to be arrested in coming weeks by detectives – who have in their possession tapes of seven republicans, who are all still alive, allegedly discussing the McConville killing. It is understood the PSNI wants to question Mr McIntyre about Bell's alleged interview and the conditions in which it took place, in order to corroborate the claims allegedly made on the tape. Mr McIntyre would also be quizzed as to whether Bell was 'Man Z'. However, sources said there were "absolutely no circumstances" in which Mr McIntyre would co-operate with police. Refusal to do so could result in him facing charges of withholding information – but the sources said he would "go to jail rather than compromise source protection". Mr McIntyre is a member of the National Union of Journalists and the issue is to be raised with the union this week. The ex-IRA man has previously said he has "every sympathy with the McConville family in their search for truth recovery" – but added that "journalists, academics, and researchers need protection if they are to gain the necessary information which offers a valuable insight into the past". As the lead researcher for the Belfast project for Boston College between 2001 and 2006, Mr McIntyre conducted over 170 interviews with 26 republicans. They were undertaken on the agreement that they wouldn't be released until after the interviewee's death. Tapes of now-deceased IRA members Dolours Price and Brendan Hughes – who both accused Gerry Adams of ordering Jean McConville's murder – were handed over to the PSNI by Boston College. However, a major legal battle followed over the taped interviews of republicans who are still alive. The police case against a veteran republican charged in connection with the notorious IRA murder of Belfast mother-of-ten Jean McConville is based on an interview he allegedly gave to researchers at a US college, a court has heard. 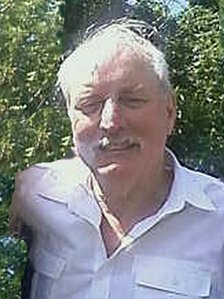 The claim was made as Ivor Bell (77) was refused bail and remanded in custody by a district judge in Belfast accused of aiding and abetting in the murder as well as membership of the IRA. Boston College interviewed a number of former paramilitaries about the Troubles on the understanding transcripts would not be published until after their deaths. But that undertaking was rendered ineffective when a US court last year ordered that the tapes be handed over to PSNI detectives. The interviews included claims about the murder of Mrs McConville, who was abducted by the IRA at her home at Divis Flats, Belfast in 1972, shot dead and then secretly buried. Applying for bail, Peter Corrigan, representing Bell, told district judge Amanda Henderson that the prosecution case was that an interviewee on one of the Boston tapes, referred to only as ‘Z ’, was his client. But the solicitor insisted the person interviewed on the tape had denied any involvement in the murder. “During those interviews Z explicitly states that he was not involved with the murder of Jean McConville,” he said. Mr Corrigan also questioned the evidential value of the interviews, pointing out that they had not been conducted by trained police officers. “The defence submits that the evidence does not amount to a row of beans in relation to the murder of Jean McConville,” he said. 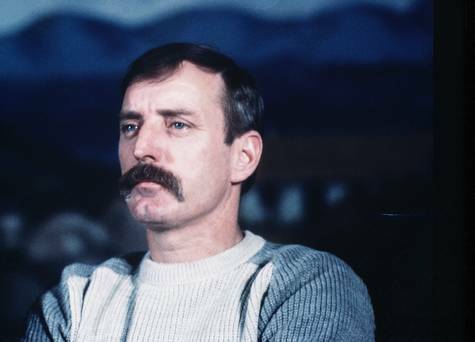 Grey-haired moustachioed Bell, from Ramoan Gardens in the Andersonstown district of west Belfast, sat impassively in the dock wearing a grey jumper as his lawyer made the claims. Some of Mrs McConville’s children watched on from the public gallery. A PSNI detective inspector, who earlier told the judge he could connect the accused with the charges, rejected Mr Corrigan’s interpretation of the Boston College interview. He claimed the transcript actually indicated Bell had “played a critical role in the aiding, abetting, counsel and procurement of the murder of Jean McConville”. The officer said he opposed bail on the grounds that the defendant would likely flee the jurisdiction. He revealed that he had previously used an alias to travel to Spain and predicted he could use contacts within the IRA to travel beyond Northern Ireland. But Mr Corrigan said that was out of the question, noting that his client suffered from a range of serious medical conditions, that his family was based in Belfast and that he had “every incentive” to stay in Northern Ireland to prove his innocence. “Are the prosecution seriously suggesting that a man in this serious ill health, who can’t walk up steps, is going to abscond for an offence where he has every incentive to attend court?” he said. Judge Henderson said the case was a very “significant and sensitive” one and praised those in court for acting with dignity through the hearing. She said she was more convinced with the argument the prosecution had made. “I am persuaded by the prosecution in this case and on that basis I am refusing bail,” she said. Bell was remanded in custody to appear before court again next month. He waved to supporters in the public gallery as he was led out of the dock. 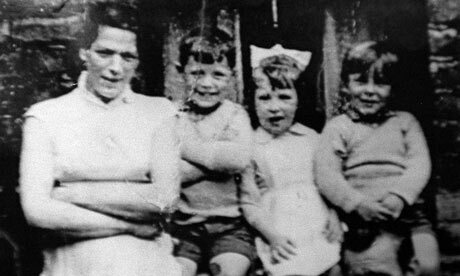 Mrs McConville was dragged away from her children by an IRA gang of up to 12 men and women after being accused of passing information to the British Army in Belfast. The IRA did not admit her murder until 1999 when information was passed on to gardaí. After the hearing Mrs McConville’s son Michael said the family’s thoughts were with their mother. “The pain of losing her has not diminished over the decades since she was taken from us murdered and secretly buried,” he said. “She is in our hearts and our thoughts always. Whatever the future holds nothing will ever change that”. This page was loaded Apr 22nd 2019, 10:12 pm GMT.